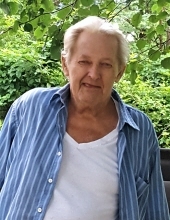 John Oakes, age 70 of Corbin, Ky., passed away Sunday October 14, 2018 at his home. He was born November 17, 1947 to the late Raymond and Dovie Petrey Oakes. Along with his parents he was preceded in death by a daughter Star Curnutt, 3 sisters; Martha Belle, Mary Jo and Doris, and by 1 brother; Jimmy Oakes. He is survived by his fiancé; Beth Barnett of Corbin, Ky., 3 grandchildren; Scotty Lanham, Mark Lanham and Courtney Curnutt all of Keavy, Ky., several great grandchildren, 2 brothers; Excel Ford Oakes and Charles Oakes, several nieces, nephews and a host of relatives and friends to mourn his passing. Funeral service will be 7:00 pm Wednesday October 17, 2018 at Ellison Funeral Home Chapel with Rev. Bill Carpenter officiating. Visitation will be 5:30 pm Wednesday October 17, 2018 until funeral hour at the funeral home. Interment will be 2:00 pm Thursday October 18, 2018 at Highland Park Cemetery Ellison Addition. To send flowers or a remembrance gift to the family of John Oakes, please visit our Tribute Store. "Email Address" would like to share the life celebration of John Oakes. Click on the "link" to go to share a favorite memory or leave a condolence message for the family.